This is the best chili recipe that I have come up with to date. 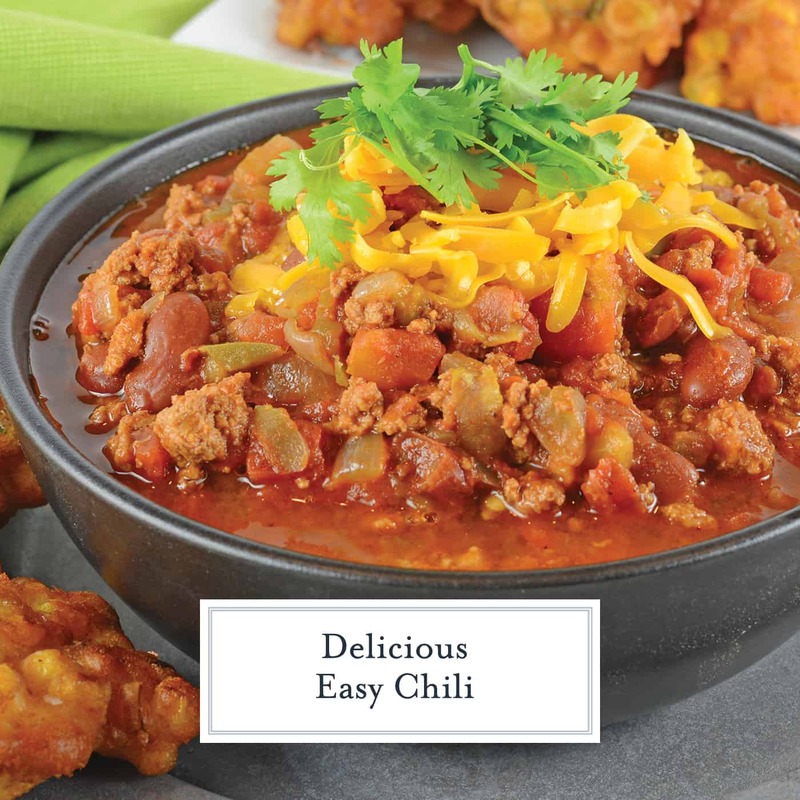 Meanwhile this chili seasoning gives it just the right amount of heat and packs your chili with a immense amount of flavor! 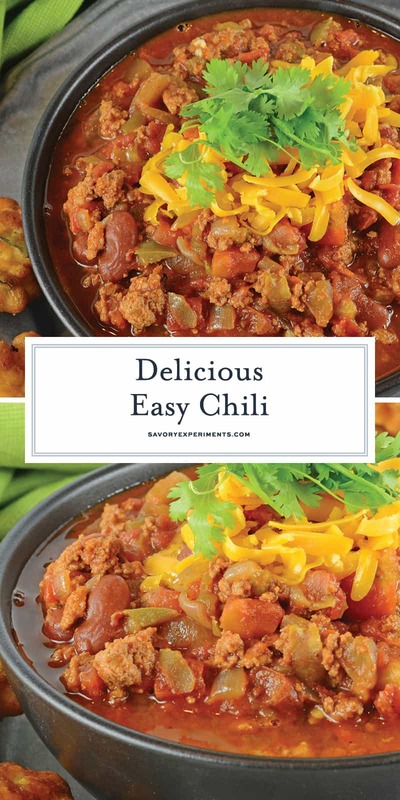 Easy Chili is a spicy mix full of ground beef, Italian sausage and vegetables, but there is a secret ingredient that makes it different from every other chili out there! 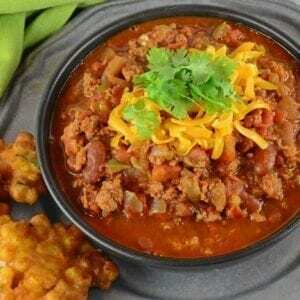 Oh chili, a winter time staple in many homes. There is something about a mix of ground beef, beans and vegetables that warms the soul. Top it off with sour cream, cheese and maybe even some crackers and you have yourself one hearty meal. 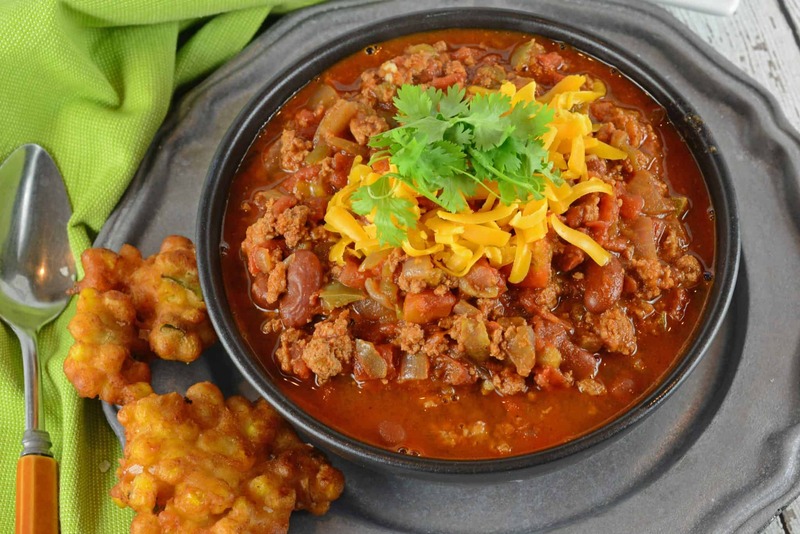 Chili recipes can differ greatly, but what most have in common is being relatively low carb and easily modifiable to be somewhat healthy. Although in this easy chili version, the sausage makes that an impossibility, hehe. In most of my chilis, I prefer to use beans. They are flavorful and packed with dietary fiber, but they can be omitted if you have a bean opposition. Same with green chiles. Everyone has a “secret ingredient” for chili and now mine isn’t going to be so secret. It is chocolate. Cocoa adds a deep, rich flavor and balances out the acidity of tomatoes. I generally use semi sweet chocolate, but this time I tried bittersweet and did not care for the outcome, so use semi sweet. 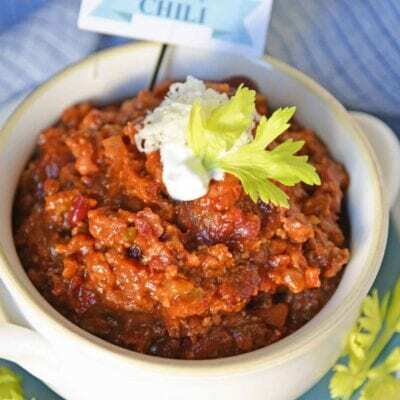 The heat of chili ranges from sweet to ears-steaming-spicy. 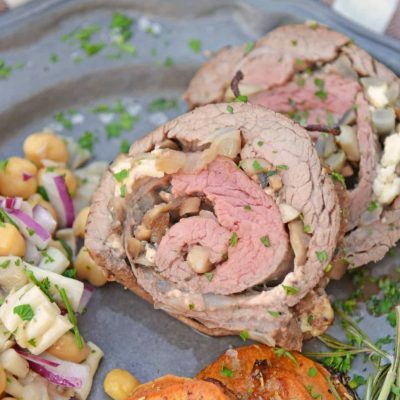 This recipe is somewhere in the middle having both a slight bite, but sweet undertones. If you do not like spice you can decrease the amounts of chili powders and use sweet sausage or spicy. Topping with cheddar cheese and sour cream also tones down the heat. If you prefer a leaner version, substitute ground turkey and turkey sausage. 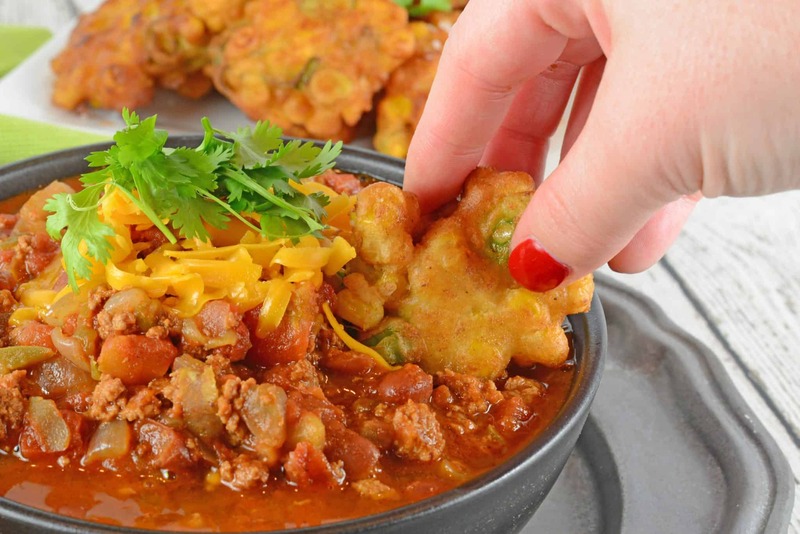 Sometimes I also serve this chili recipe with Garlic Dill Oyster Crackers, Crispy Corn Fritters or Jalapeno Cornbread Muffins. 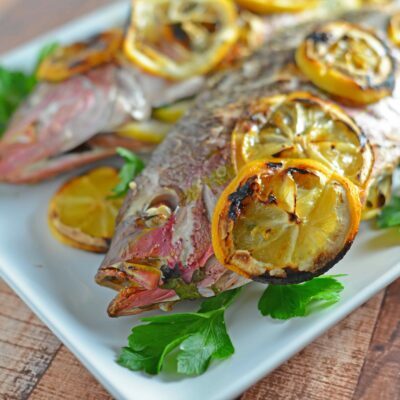 In a dutch oven or large enameled pot, heat extra virgin olive oil over high heat until shimmering. Add onion and garlic. Saute until opaque and soft. Break up ground beef and sausage, add to brown. 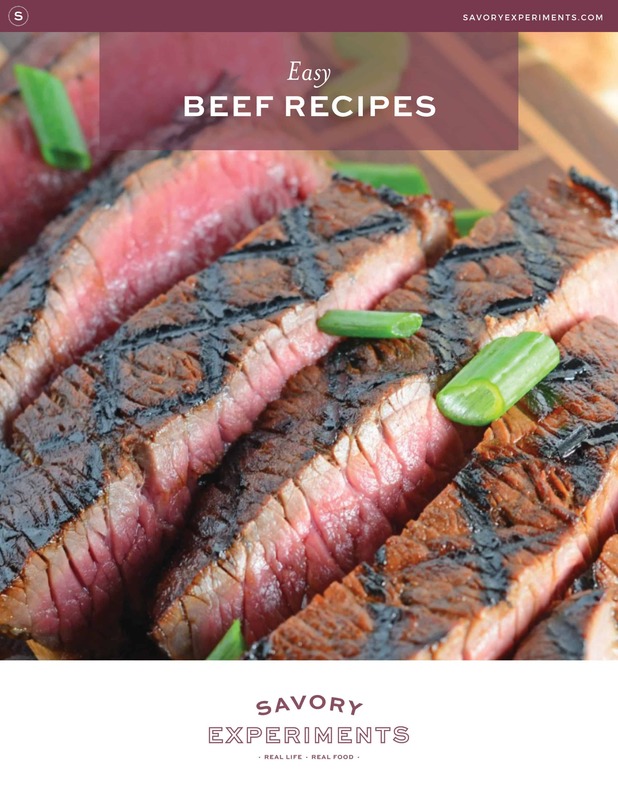 Stir to brown all meats evenly over medium-high heat, approximately 10-15 minutes, due to have such a large quantity of meat. Remove from heat and allow to cool. The next step is to drain the excess fat which can be done one of two ways. The first is to use a slotted spoon and slowly separate out the solids from liquids. The second is to pour the mixture into a large fine sieve or colander, eliminating all grease and oil, but saving meats, onion and garlic. Choose whichever method works best for you. Transfer meat, onion and garlic mixture back to your large Dutch oven or enameled pot. Return to medium heat. Add chile powders through diced tomatoes and stir to combine. Continue over medium heat until mixture is uniformly heated, then lower to a slow simmer. Simmer for 2-3 hours, stirring occasionally. The chili will darken in color, reduce and thicken. Approximately 30 minutes before serving, stir in semi sweet chocolate morsels. Ladle into bowls and top with cheddar cheese or a dollop of sour cream. 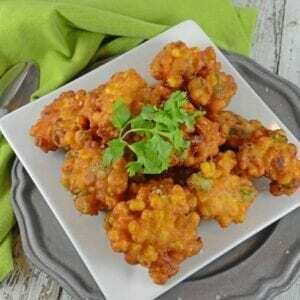 Serve with Crispy Corn Fritters. 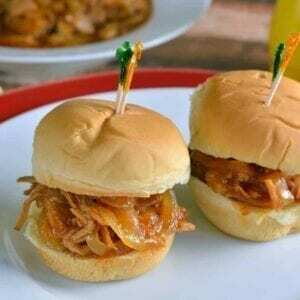 Leftovers can be refrigerated for up to a week and reheated. This recipe freezes well for up to 3 months in an airtight container. Well that looks really YUMMY. Perfect for a late superbowl dinner.